Nestled among a lush, historic landscape in eastern Massachusetts, the town of Harvard combines a quaint, old-world feel with all the amenities of a big city. Perfect for families and residents of all ages, it’s known for its high-performing schools, idyllic atmosphere and storied past. With a number of famed past residents and non-traditional communities, Harvard carries with it great historic importance. In the 1700s, The Shakers called Harvard home, creating their utopian religious community right within the town’s boundaries. A century later, Harvard became home to the Fruitlands farm, another utopian gathering, this time for transcendentalists like the Alcott Family, Henry David Thoreau and Ralph Waldo Emerson. Today, the town leans more traditional, though Benedictine monks still reside at the nearby St. Benedict Abbey. Despite the departure from its former Shaker and transcendentalist roots, many would still consider this beautiful piece of land a utopia in its own right. More than 6,000 residents currently live in Harvard, including over 1,800 separate households. These residents get to enjoy all the amenities the small town has to offer, like the numerous local apple orchards, the many hiking, biking and walking trails, the Harvard Farmers and Flea markets and the annual Apple Blossom Festival, which boasts food, shopping, a gift market, and lots of live entertainment. The local Shaker Hills Country Club provides fun and golfing for the adults, while the Oxbow National Wildlife Refuge offers plenty of entertainment for the entire family. For a more educational outing, The Fruitlands Museum and the Shaker Village Historical District provide a blast from the past that’s both fun and informative. When it comes to day-to-day learning, Harvard isn’t short on opportunities there, either. Students in the area attend The Bromfield School, which consistently ranks among the top-performing public high schools in the state of Massachusetts. National magazine U.S. News and World Report even named it one of the best high schools in the entire country, giving its gold award in honor. If you’re worried that a place like Harvard might be out of financial reach, don’t fret. 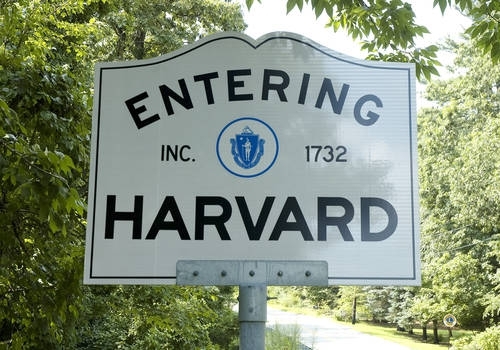 Though its rich history, stellar educational opportunities and abundant amenities might make it seem like a far-fetched dream, Harvard is actually more affordable than initially meets the eye. The average home runs a mere $274,000 – significantly lower than many other towns and communities in the nearby area. Real estate options run the gamut, too. Though large, expansive estates with 5, 6, 7 or even 10 bedrooms can run in the $1 to $2 million range, smaller town homes and 2 bedroom properties come in at just $200,000 or less. If a custom home is more your style, the area is also overflowing with open acreage and land just ripe for the picking. The quaint, tight-knit community of Harvard never ceases to amaze. With beautiful natural surroundings, plenty to do and see, and educational opportunities all around, it’s no wonder so many renowned residents have called it home over the years. Visit Harvard and experience the bliss for yourself. You might never leave.